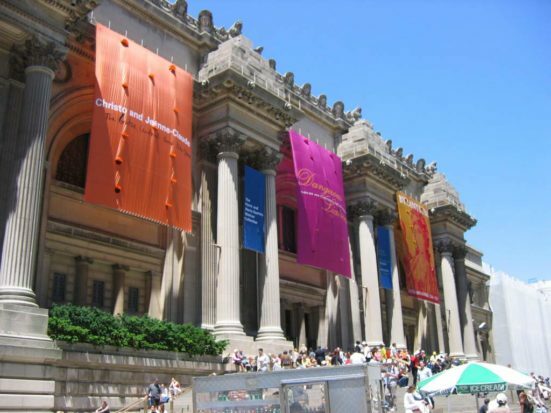 The relationship between the City of New York and the Metropolitan Museum of Art precludes its charging a mandatory fee for admission. Instead, it asks each patron for a “recommended” contribution of $25. That’s because the city owns the building that houses the Met and gives the museum around $26 million each year in tax dollars. Lawsuits filed over the past few years have challenged the museum for not being clearer about the voluntary nature of that charge. The resulting settlement, confirmed last week, requires that the museum state clearly on its signs and websites that the amount visitors pay is up to them and to describe the $25 entry charge as “suggested” rather than “recommended.” As a result, the museum has filed a formal proposal with the city to establish a mandatory admission fee to out-of-state visitors. In-state visitors would continue to be charged a voluntary fee. It’s unclear that the measure would be a sure road to additional sustainable revenue, since some believe it might place the city’s $26 million in annual public support at some kind of risk. Mayor Bill de Blasio says the change would not necessarily mean less revenue from the city—but that “not necessarily” should be seen as an important qualifier. Nonprofit Museums Face a Core Quandary: At What Price Art? Across the US, museums are struggling to grow—or even maintain—attendance, yet many continue to raise admission prices to balance tight budgets. Some critics feel access should be free, or at least very inexpensive. But is that realistic?